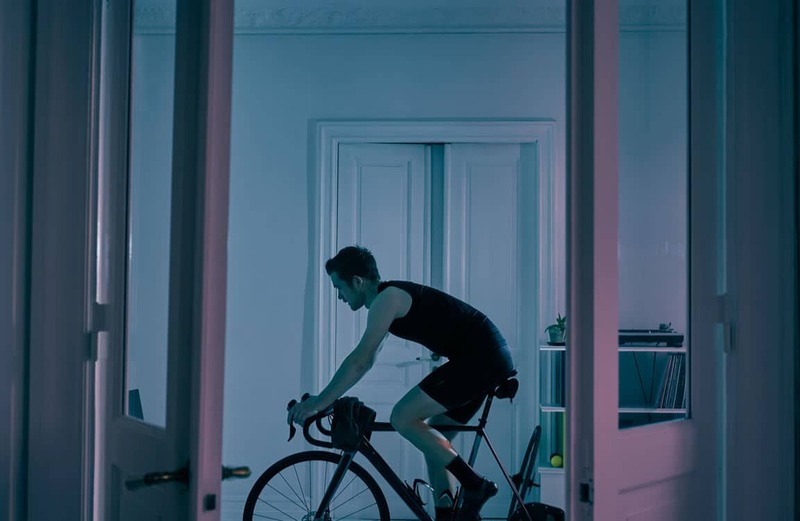 Sometimes life conspires to steal your training time, but it’s important to take some of it back and get in a short and effective cycling workout indoors. When I’m out of time and can’t ride outdoors, I hop on the indoor trainer for my Quick Fix Workout. There’s a 10-minute warm-up in the workout files provided above, starting with 4 minutes of easy spinning and then a few short (1:00 and 30-second) efforts at increasing intensity levels to get your body ready to go. To maximize compatibility with smart trainers and training devices, the workout files above prescribe the target intensities as a percentage of Functional Threshold Power. I have also included rating of perceived exertion, which has been shown to be quite accurate even compared with objective data. Many times this 10-minute warmup is enough, but sometimes you might feel like you need more time to start sweating and get loosened up. I have found this to be especially true for 60+ athletes and for any athlete in the midst of a heavy training block. If you need more warm-up time, take it (assuming you can spare a bit of extra time). The most important thing about any workout is the quality of your efforts, and sometimes spinning for an extra 5-10 minutes beforehand can make a world of difference. The interval set in my Quick Fix Workout is all about spending time at intensities around lactate threshold. The 3-step intervals are long enough to generate some lactate and force you to continue working while processing it back into usable energy. And with three of these intervals, you’ll spend 27 minutes out of the total 55 at or near threshold. Repeat the following interval set three (3) times. Cadence is self-selected, but 85-95rpm is a good target for the 5:00 section, and then many athletes find it more effective to increase cadence slightly for the second and third steps of the interval. 4:00 easy spinning recovery at 50-70% of FTP or RPE 3-5. You will be 45 minutes into the workout when you get to the end of the third interval set. A cool down is an important component of any workout, but how long you stay on the bike is up to you. I have put a 10-minute cool down into the workout files above, but I have climbed off the bike after five minutes plenty of times. The key is to keep your legs moving and spinning lightly until you’re no longer breathing heavily, your legs don’t feel like bricks, and your heart rate and perceived exertion are both back down to recovery ride levels. This workout is designed to be a replacement option for a workout you couldn’t complete because your schedule changed. It is challenging and stimulating enough to keep an athlete on track, and not so hard that it leaves an athlete unable to complete a more specific training session the next day. I keep this workout handy in my cycling computer as saved workout, and instruct the athletes I coach to do the same. I like it because it’s a short and solid workout that can be used at any time of year without derailing most event-focused training plans. That said, I recommend using only about once a week, because if you’re using it more often than that, you’re missing enough of your prescribed training that you and your coach might want to revisit your schedule. Throw this workout into the mix and get something done when Holiday traffic, travel, or parties get in the way of the training you planned to do. You’ll feel better than if you skipped riding altogether and you’ll keep your fitness on track so you can seamlessly jump back into your planned workouts.